Tzatziki, a simple, subtly seasoned yoghurt dip.. healthy to core and so yummy that u would not want to keep it for later. Its a Yes for me all the way ! I got introduced to this just a couple of months back and it has completely changed my food palate ! DSB makes this classic tzatziki, the traditional style and adds a new found love to its section of some amazing chutneys, sauces and dips ! I came back home, half dead from exhaustion late that night but this sauce was all over in my thoughts ! The next morning was a quick internet search and i finally figured out the secrets to an amazing tzatziki sauce. I have tried many variations with it and i do recommend adding in some caramalized onions but the classic still rules my heart. Give it a go!! 300 gms of greek yoghurt (full fat preferred for a creamier texture). Greek yoghurt is more firm than usual yoghurts and drains off less water. The first step is to drain off the excess water from the yoghurt you are using. For that, use a muslin cloth and add your yoghurt to it. You can whisk your yoghurt first before putting it in a muslin cloth. Let the water drain for about 4 hours . I usually make a pouch of the muslin and hang it so that the water drains out faster. Once the yoghurt has drained enough water, remove into a bowl. Make sure that not too much water is drained or the sauce will be dry, u want a little thick sauce consistency. While the yoghurt is draining, cut the cucumber sides (remove the center) into really small chunks and sprinkle some salt to it and let it rest for about 15 minutes. This will remove some extra water from the cucumbers as well. I keep the skins of half portion of my cucumber for a crunchier taste. Once the cucumbers have drained out water, you may wash them and add to the yoghurt. Slowly add in olive oil and blend it well with the yoghurt. Add the spices. Tzatziki is ready. and also for my soups and garlic bread … i infact even used it along with my pastas and a total yes with fries .. oh yes! Try this with my Hot Cajun style Potato Wedges and u will Love it for sure !! 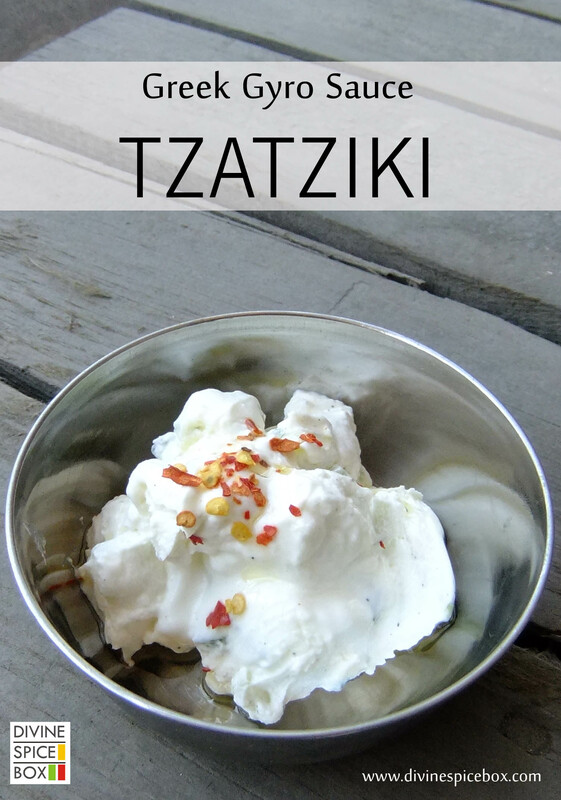 I just love tzatziki! I’ve never added caramelized onions in it, that’s a new one.